The above info came from Colhan3000, and was edited by yours truly (contact me). The image came from photobucket. Pokémon the First Movie Pocket Monsters: Mewtwo Strikes Back! Pokemon just entered the next generation with now over 493 species to see in the this brand new season! It takes place in the region of Sinnoh which is modeled after the Japanese island of Hokkaito. 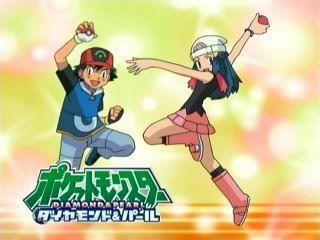 A new trainer named Dawn with her new Pokemon team up with Ash and Brock after battling Team Rocket to get back Pikachu and Ash finds a new rival that is the opposite of him in many ways in how you raise and train a Pokemon. It's a new region full of new Pokemon, gyms and battles on the newest Pokemon adventure to hit television! The above description came from Colhan3000, and was edited by yours truly (contact me).